Fall 2017 Newsletter — C.O.R.E. To compliment our new research vessel, we also recently acquired a small residential property in the rural community of Gregory Town, north Eleuthera and we are currently in the process of re-fitting, painting, building and creating a fully equipped and operational field station and education centre. This property functions as the CORE main office, dry lab, science library and classroom that will serve the local community in science education and research. In addition, we can provide accommodations for up to five visiting scientists, offering a fully equipped and functioning field station, plus kitchen/bathroom for those wishing to access the northern and central parts of this island. Conveniently located in the heart of Gregory Town, within walking distance to all amenities and water front, our aim is to create a hub for education and research here in north Eleuthera. For rates and further details, please contact us through the website! The acquisition of this research station was made entirely possible by the very generous donations received by you and this support has been a prodigious factor of our success to date. Please see here, for further details on how you can donate to our cause, so we can create change and promote the conservation of biodiversity through education and outreach. As we march towards the end of the year, we are reminded of the challenges that lay ahead as we forge new collaborations and carve a niche for ourselves through exciting and novel research projects. You can check our Research Projects page to see our existing portfolio, however we are always looking to expand and diversify our collaborative efforts, and this was highlighted in November, when Dr. Owen O’Shea was invited to deliver a keynote address at a conservation charity conference in Fort Collins, Colorado. IDEA WILD seeks to minimize the loss of biodiversity by empowering people on the front lines of conservation by awarding small equipment grants to conservation professionals around the world. They have previously funded Dr. O’Shea which has led to the development of a close collaborative relationship between our two organisations. For over 25 years, Idea Wild has been at the forefront of promoting the conservation of biodiversity on a global scale, by providing and equipping scientists all over the world with the tools and means to make this happen. In this time they have funded 5,157 projects in 115 countries, so it was an honour for Owen to be invited to talk at one of their conservation events. Leaving the balmy Bahamian winter behind him, Owen was plunged into the icy Colorado alternative at 5,000 ft. above sea level. Owen was hosted by Idea Wild president and founder Wally Van Sickle and his team of tirelessly dedicated colleagues, volunteers and his wonderful wife Joni. At this special event, various projects are auctioned to a range of donors, and where Owen spoke as guest scientist. The concept of funding conservation projects for relatively small sums of money is quite novel in the research world, where many will aim high for large, multi-year grants, but it is so important to be cognizant of the fact that so much can be done with less than $1, 000. In 2015 Owen was awarded a drone from Idea Wild to begin exploring the possibilities of surveying creek systems of The Bahamas, specifically assessing stingray abundance and presence/absence, as well as media creation in order to further promote his research. When the time came, and as a previous recipient, Owen delivered his talk with passion and conviction as a previous recipient. 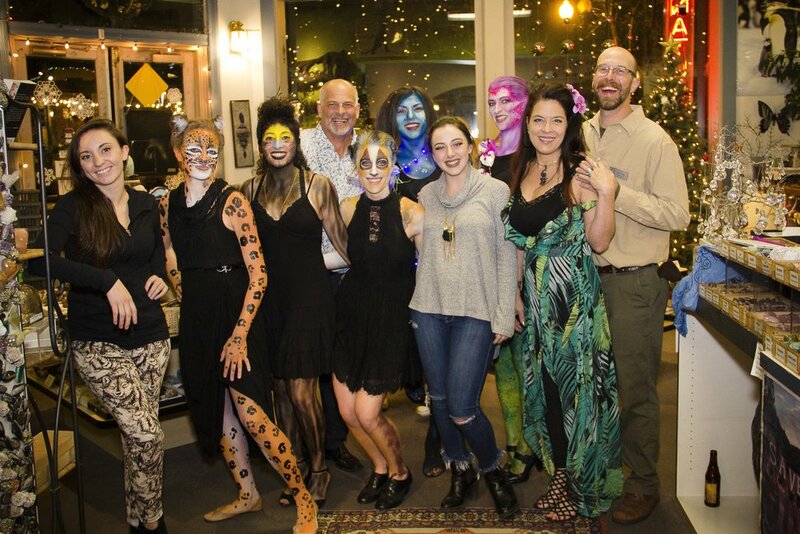 All told, around 30 projects were funded that evening and many tens of thousands of dollars raised for what Wally calls the ‘Heroes and Sheroes’ of the planet! The week was capped off with a trip to the Wyoming border for Wally and long term collaborator Hank Henry to expose Owen to the wilderness and show him how to spot moose and antelope – rather different from when Owen was showing these guys how to spot stingrays just two years ago in The Bahamas! A thrilling week full of learning experiences for Dr. O’Shea, and a chance to promote CORE and its upcoming projects. A huge thank you to Idea Wild, particularly Wally Van Sickle and Ann Marie Gage who went to extraordinary lengths to make this visit possible. Also to Joni for the hospitality and to everyone else who provided support for CORE. While in Colorado, Owen was able to provide an interview for KGNU community radio on his research in The Bahamas and beyond and you can access that interview below. 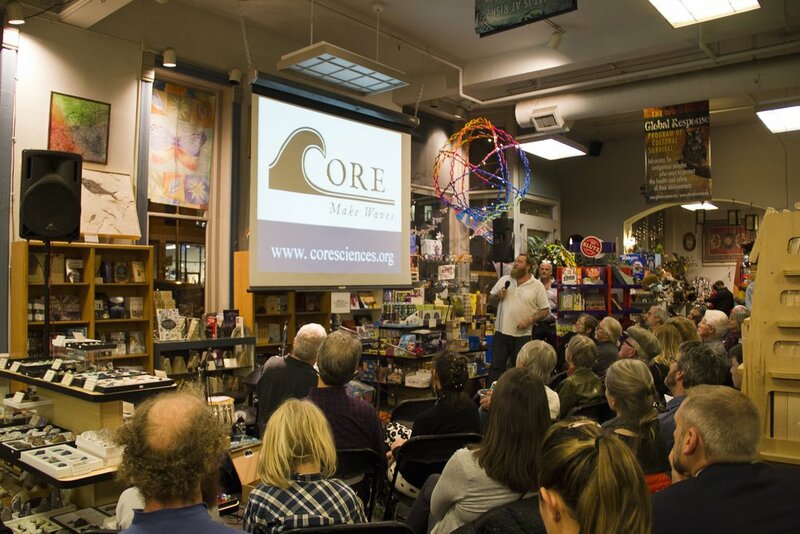 You can contact Dr. Owen O’Shea and CORE, through their website and subscribe to a quarterly newsletter and don’t forget to follow CORE on Instagram!